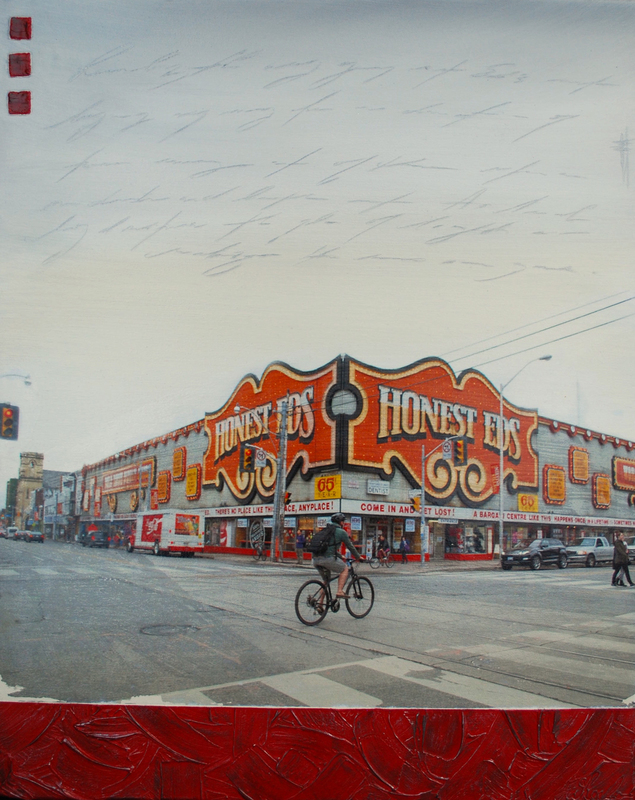 painting featured above: "Afternoon Coming & Going" 24 x 36" acrylic on canvas with photo transfer and encaustic. 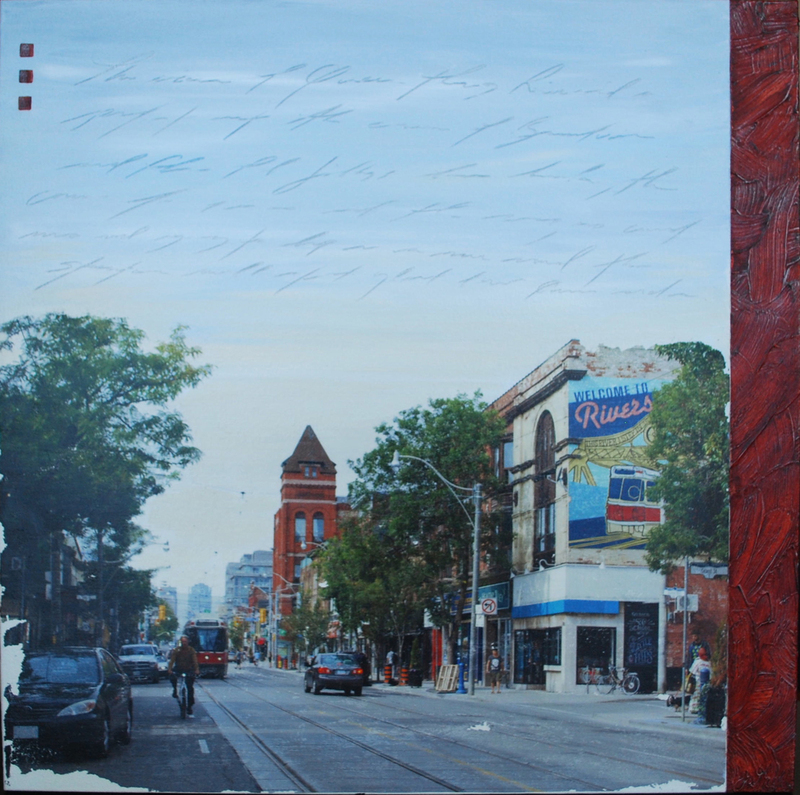 Come see my new work at Second Door Studio my new studio work space in the Distillery District of Toronto. 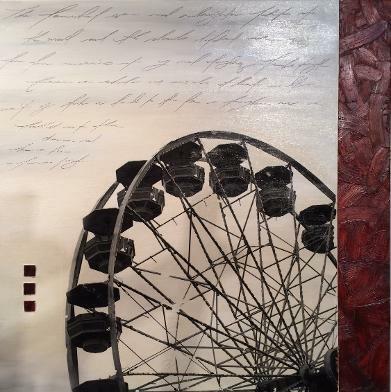 Day at the Fair 30 x 30" Acrylic on canvas with photo transfer and encaustic. Thank you for dropping by to see my new work. 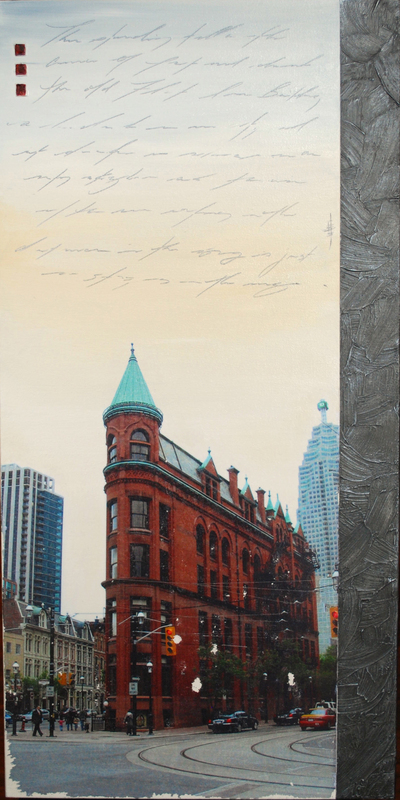 Jodi Wheeler is a Toronto based artist who graduated from the Visual Arts – Fine Arts Program at York University in 1999. 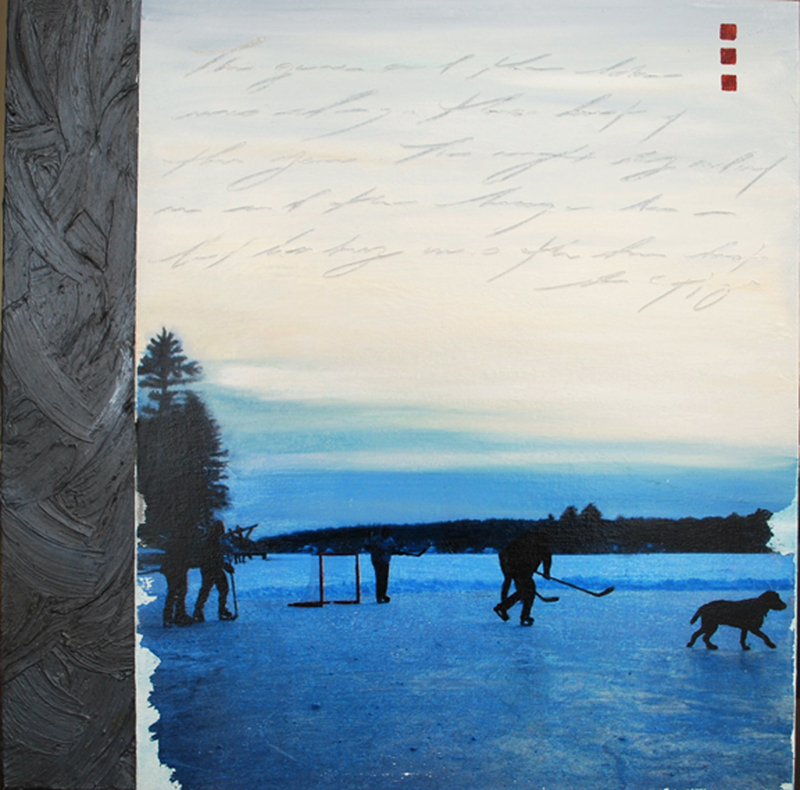 Jodi has exhibited her work in Canada, USA, and Australia. 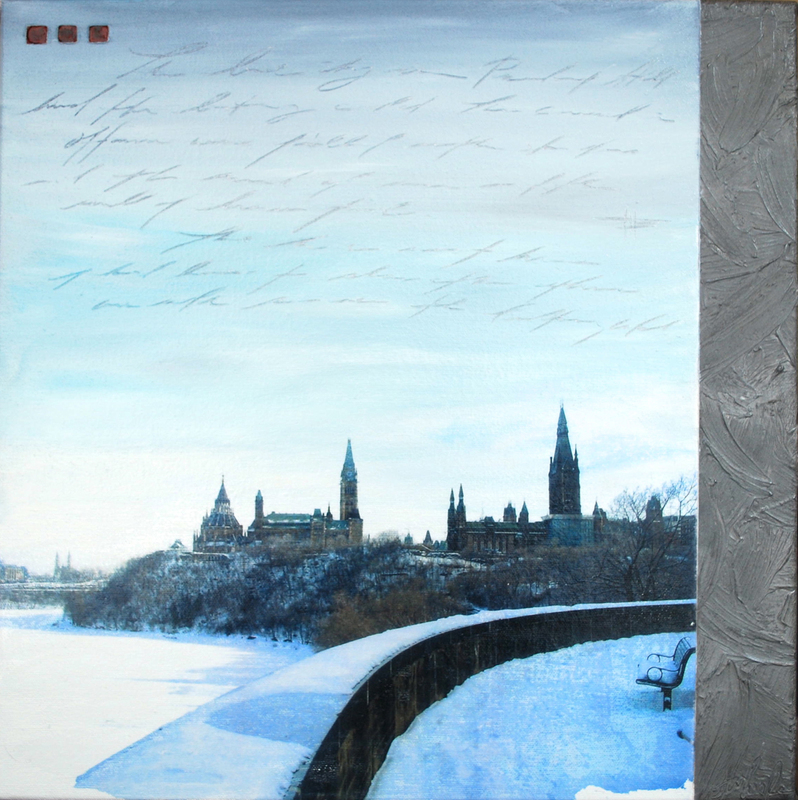 Her work can be found in corporate and private collections in Canada, USA, and England. 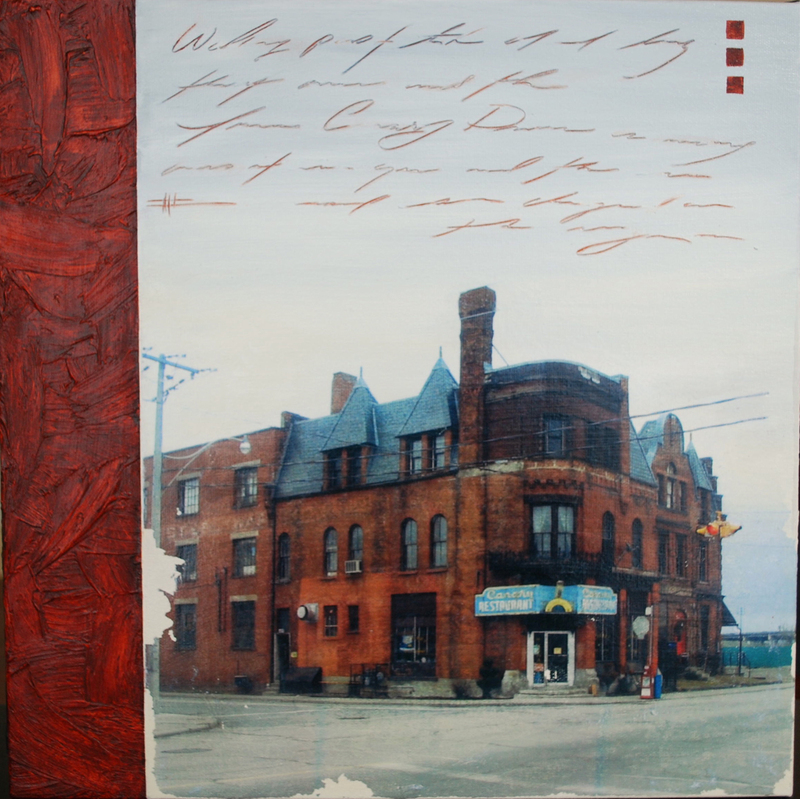 Jodi’s paintings are painted in acrylic paint on canvas often incorporating other mediums such as encaustic and photo transfer. 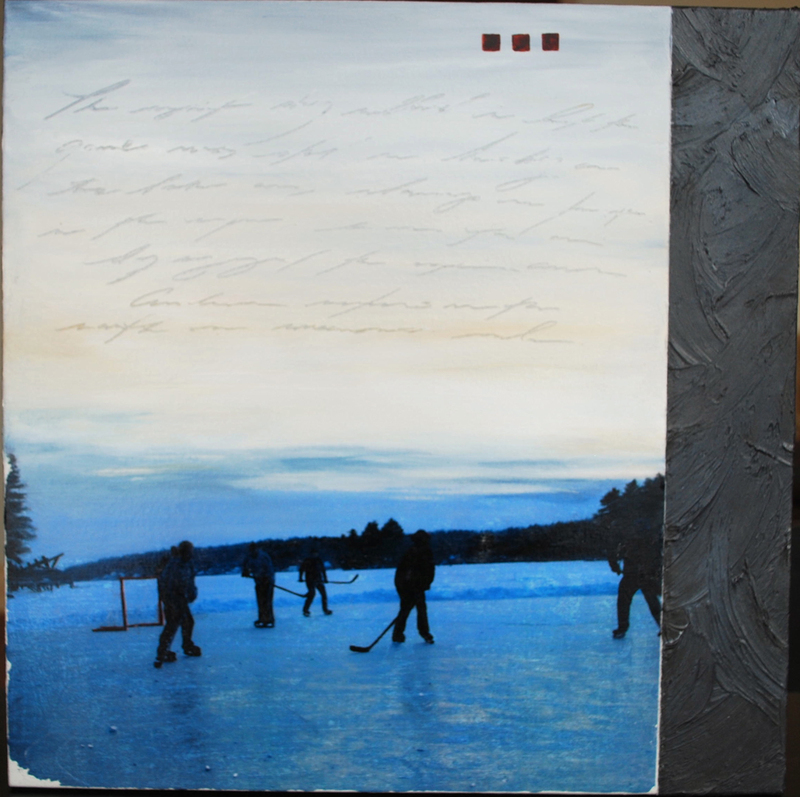 Jodi’s use of text in her pieces is used both for creating texture in the pieces and for telling her story. 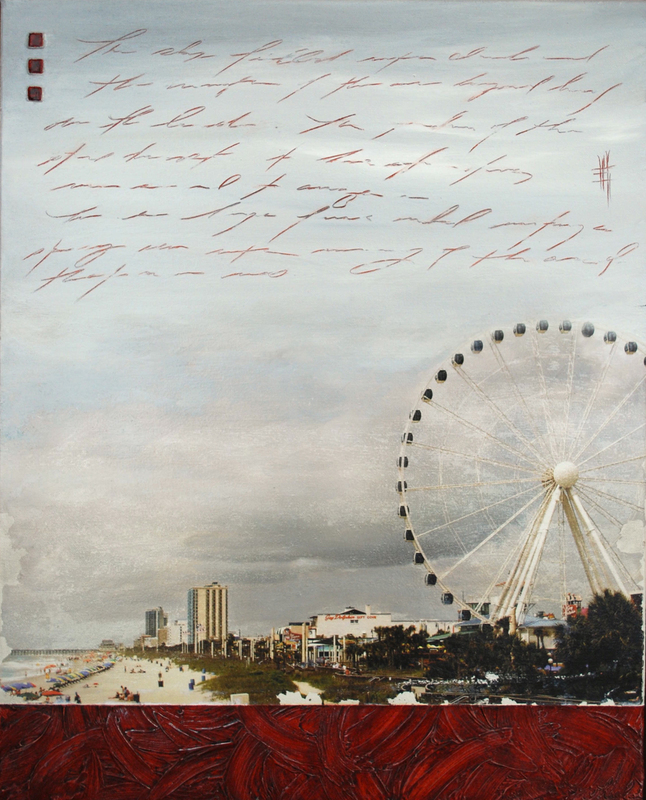 The text is usually written in a way which allows the viewer to be intrigued by her story, yet some of the text being left illegible only helps to leave the story of the painting open for interpretation. 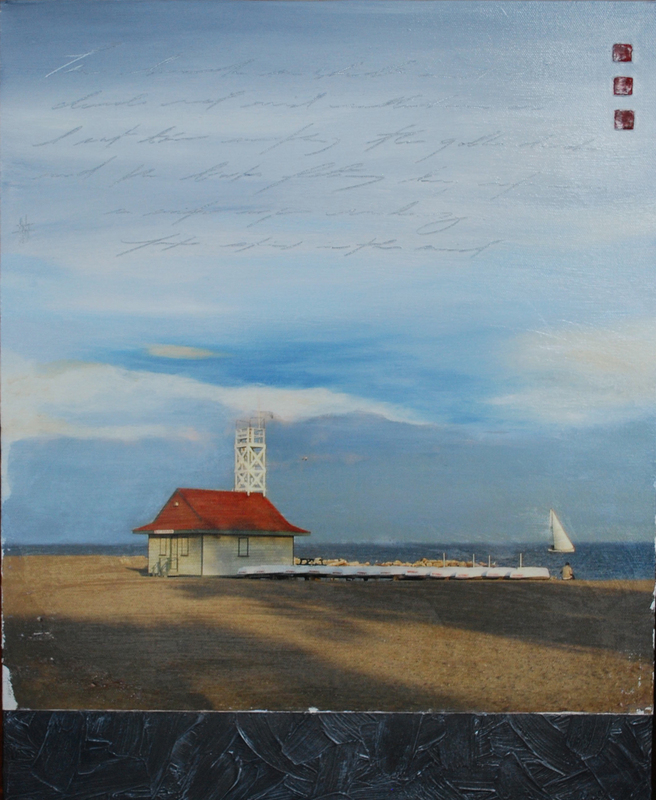 Jodi’s paintings are most often inspired by her family, friends and her travels. 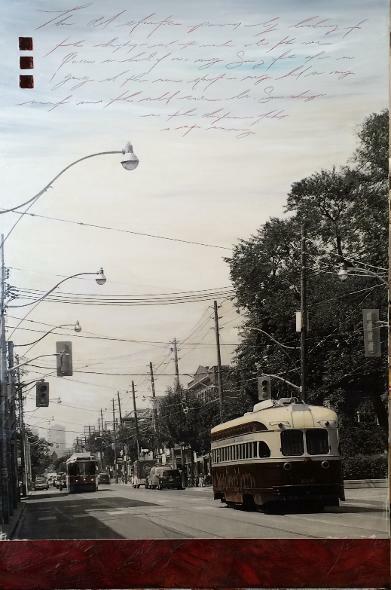 I am excited to announce I have opened my own art gallery in the East End of Toronto! 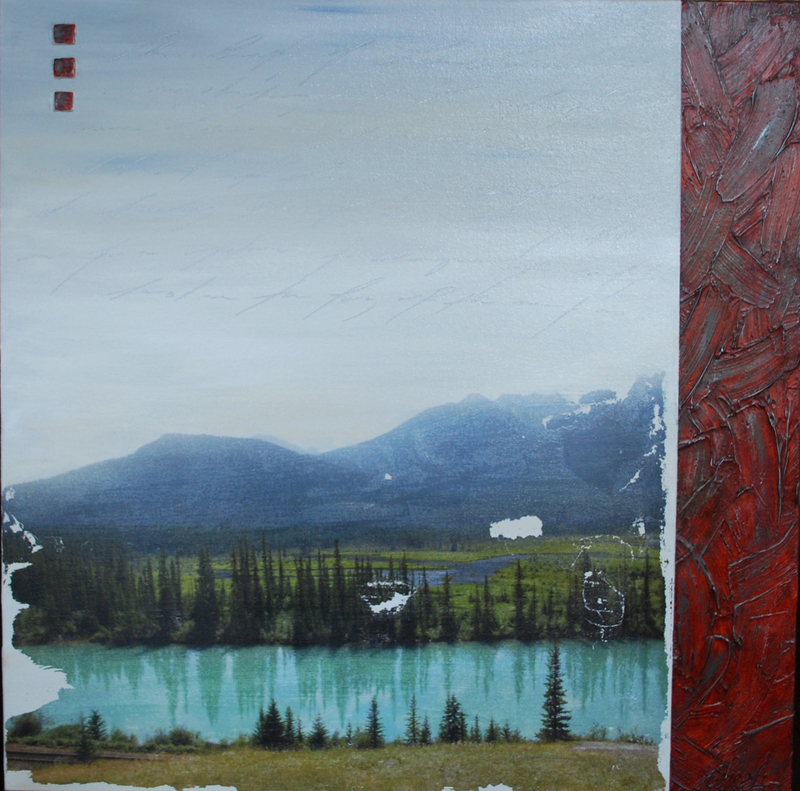 Blue Crow Gallery carries a collection of local Canadian artists ( painters, potters, jewellers and more) has an open studio where myself and a couple other artists work to create their art. the gallery also offers a variety of art classes for adults and kids. the link for more gallery details can be found on my contact page! 3-4 hour class is $90 all supplies included. Click on the photos below to open full image and details. To see a complete collection of my work please go to the Gallery Page at the top.